It’s official! Marcel Gaztambide is your Animas Riverkeeper! We’re thrilled to have him on as a full time advocate for the Animas Riverkeeper. He’ll be harnessing the expertise of over 300 other waterkeepers around the globe through the Waterkeeper Alliance to engage our community around the issues most critical to the Animas. We’re throwing a party to celebrate! Join us on September 14th from 5-7 pm at the Rochester Hotel Secret Garden for live music, light appetizers and a cash bar. Meet Marcel, let us know what river issues you most care about and find out the latest research and work being done to restore and protect the Animas. See event details. Below is our full press release on the launch of the Animas Riverkeeper. Check out our Animas River page to learn more about the work we are doing. Durango, CO – San Juan Citizens Alliance partners with Waterkeeper Alliance, a global movement uniting over 300 Waterkeepers, to launch the Animas Riverkeeper. Marcel Gaztambide, the recently appointed Animas Riverkeeper, will be a full-time advocate for the river, working to protect and restore the Animas River ecosystem, ensure safe, reliable access and promote democracy in water resource management. The 2015 Gold King Spill, which memorably transformed the river into an opaque mustard hue, heightened the region’s awareness of the watershed’s most damaging threat. In addition to mobilizing public involvement and engaging in the Superfund process at the newly designated Bonita Peak Mining District, the Riverkeeper will be working to expand safe recreational opportunities and watchdog management of the river’s water. 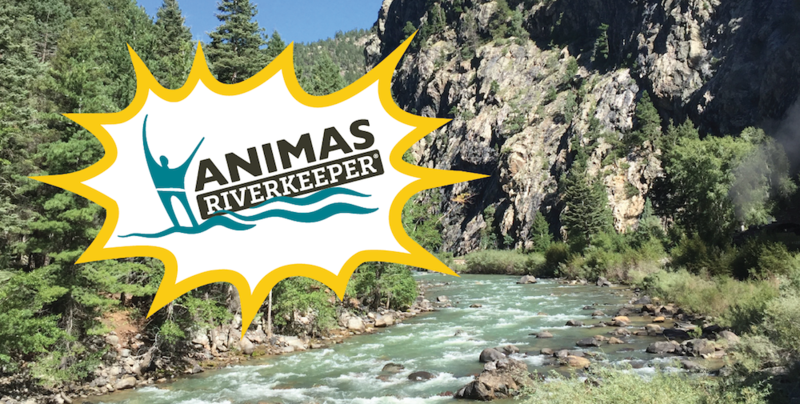 San Juan Citizens Alliance is hosting an Animas Riverkeeper Launch Party that will take place on September 14th from 5-7 pm at the Rochester Hotel Secret Garden. It is free and open to the public. There will be live music, light appetizers, a cash bar, and lots of folks who care about the Animas River. The San Juan Citizens Alliance advocates for clean air, pure water, and healthy lands – the foundations of resilient communities, ecosystems and economies in the San Juan Basin. For more information, visit our website or engage with us on Facebook, Twitter, LinkedIn, and YouTube. Waterkeeper Alliance is a global movement uniting over 300 Waterkeeper organizations around the world and focusing citizen advocacy on issues that affect our waterways, from pollution to climate change. Waterkeepers patrol and protect more than 2.5 million square miles of rivers, streams and coastlines in the Americas, Europe, Australia, Asia and Africa.